In the first weekly poll of the 2017-18 season, women's basketball center Tierra McGowan has been named the Ohio Valley Conference Newcomer of the Week. 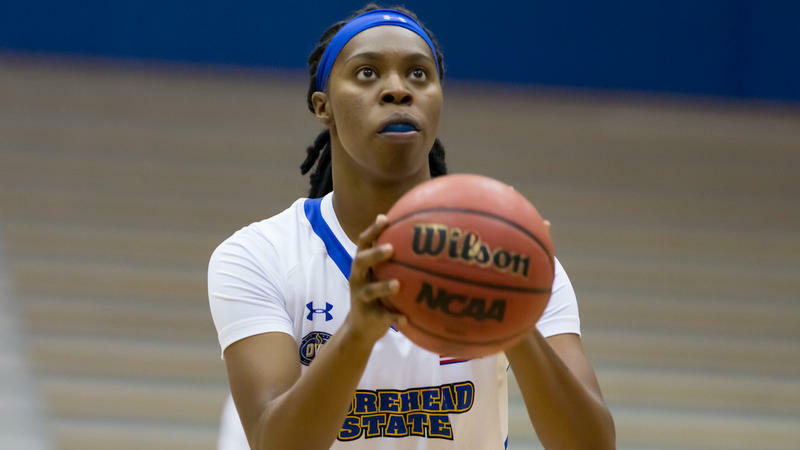 McGowan, in her Morehead State debut last Saturday, recorded 15 points, a game-high 16 rebounds, one assist, two steals, and one block in a 75-71 come-from-behind win over Sacramento State in the Matthew Mitchell Classic at Johnson Arena. 10 of McGowan's 16 boards came on the offensive glass in just 16 minutes off the bench, earning the 6-foot-3 junior Most Valuable Player honors at the conclusion of the contest. Tierra McGowan, Miranda Crockett, and Eriel McKee each tallied double-doubles in a thrilling 75-71 comeback win over Sacramento State on Saturday night at Johnson Arena. McGowan, playing in her first game as an Eagle, was named Most Valuable Player of the game. She scored 15 points and was a force with which to be reckoned on the glass, hauling in 16 rebounds, including 10 offensively. "It was a quite a debut (for McGowan)," said head coach Greg Todd. "We kept plugging and we're proud that we were able to come away with a win." 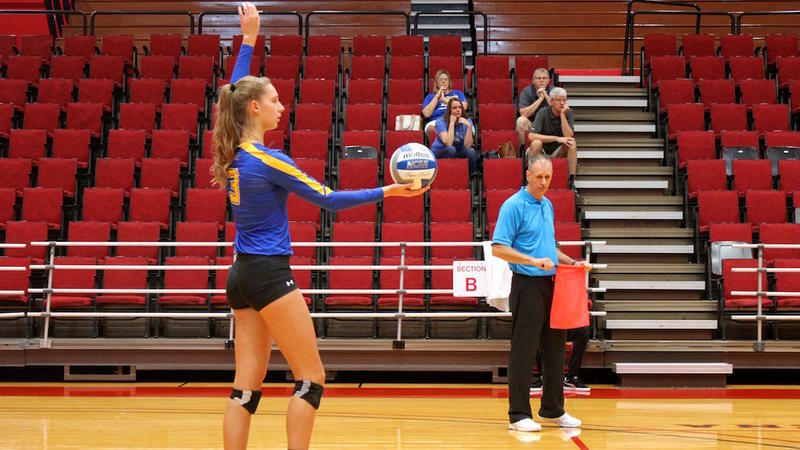 After honoring Allie Evans and Jessica Hall in the Eagles' annual senior day pregame ceremony, Morehead State concluded its 2017 season with a 3-0 loss to Ohio Valley Conference regular season champion Austin Peay on Saturday at Wetherby Gym. The Eagles fell in three contested sets by score of 25-23, 25-20, and 25-18. 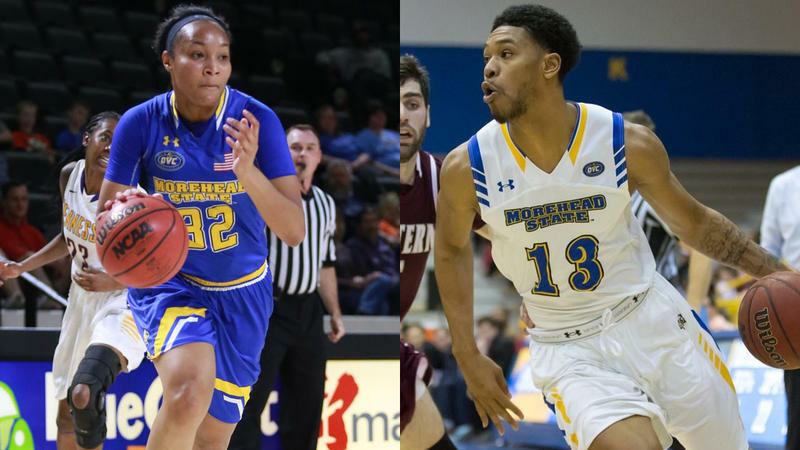 Morehead State wrapped up the season with a 14-15 overall record and a 5-11 mark in the OVC. The Lady Governors improve to 27-5 on the season, moving to 14-2 in conference play. Marist's football team outscored Morehead State 14-0 in the fourth quarter to get a come-from-behind 38-31 victory Saturday. "That was the story of the game, the fourth quarter," said head coach Rob Tenyer. "It was a good football game up to that point - going back-and-forth - seems like our consistency fell apart." 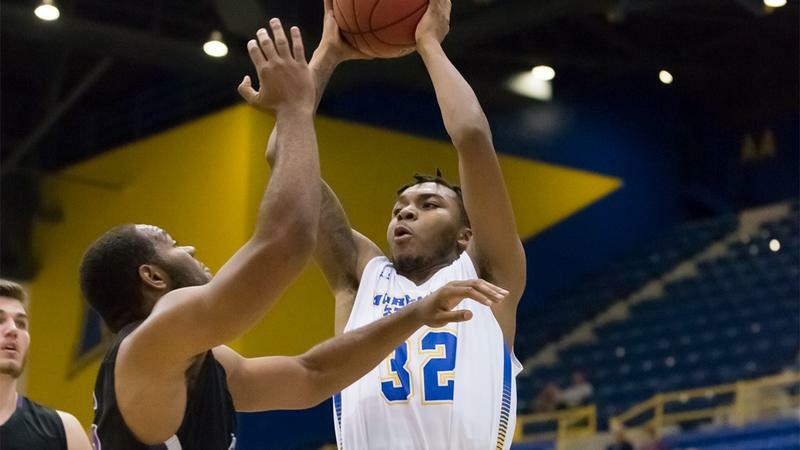 Four Morehead State Eagles scored in double figures, and the MSU men's basketball team used early and late scoring spurts to put away Cincinnati Christian 85-74 in an exhibition game at Johnson Arena Monday night. Turning in its second highest aggregate score of the season, the nationally-ranked Morehead State Rifle team won its third straight home match, fourth match overall, and second of the weekend over UT Martin Sunday. The Eagles bested the UTM Mixed Team 4621-4601. The UTM women scored a 4416. With four of the five in the air rifle starting lineup at 580 or better, the Eagles shot their second best air score of the year at 2331. They totaled a 2290 in smallbore. 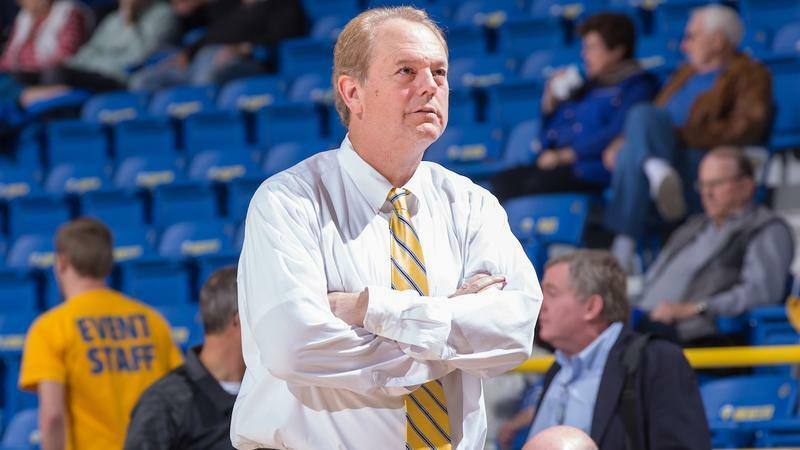 Morehead State men's basketball will get a final tune-up opportunity before Friday's season opener when the Eagles host Cincinnati Christian in an exhibition contest Monday at Johnson Arena. 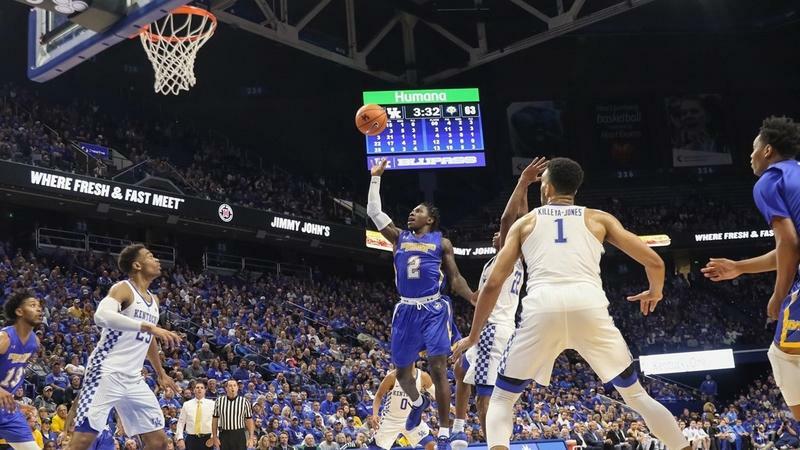 The Eagles put forth a respectable showing last week in the Kentucky Cares exhibition at Kentucky before falling 92-67. Junior forward Lamontray Harris led Morehead State with 15 points and four rebounds, plus four assists, in 27 minutes. Sophomore guard Jordan Walker turned in 13 points. With 10 new players, including six freshmen, men's basketball head coach Preston Spradlin is concerned with more than just shot selection, rebound position, and defensive posture. There is a more basic question that must first be answered. 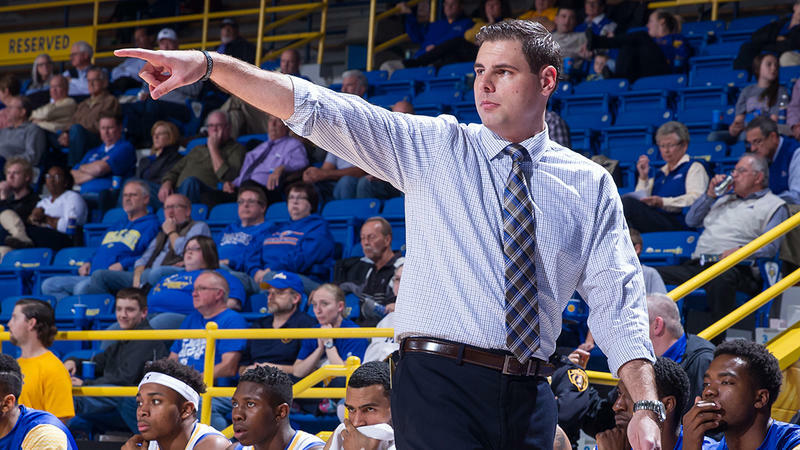 Who will be the leaders of his Morehead State men's basketball team? The Eagles have no seniors and only three juniors, two of whom are transfers. The one returning junior, Lamontray Harris, and sophomore guard Jordan Walker are consciously working at being the leaders that Spradlin needs. Morehead State Athletics has presented a brand new premium fan experience at Johnson Arena, available immediately for both the men's and women's 2017-18 basketball seasons, known as the Courtside Club. The premier seating area features cushioned chairs directly on the floor of Johnson Arena, paving way for the best view in the arena. Introducing in-seat wait service, fans can purchase food and beverages from the game-day menu prior to tip-off, with the service readily available all the way through halftime. Members of the media who cover the Ohio Valley Conference have selected their predicted order of finish for the men's and women's basketball teams this year. The Morehead State women have been tabbed for a third-place showing, while the men are ninth. For the fourth year in a row the OVC has conducted a preseason Men's and Women's Media Poll prior to the start of the season. In total 12 voters from around the league cast a ballot on whom they thought would be the 2017-18 basketball favorites and preseason players of the year. 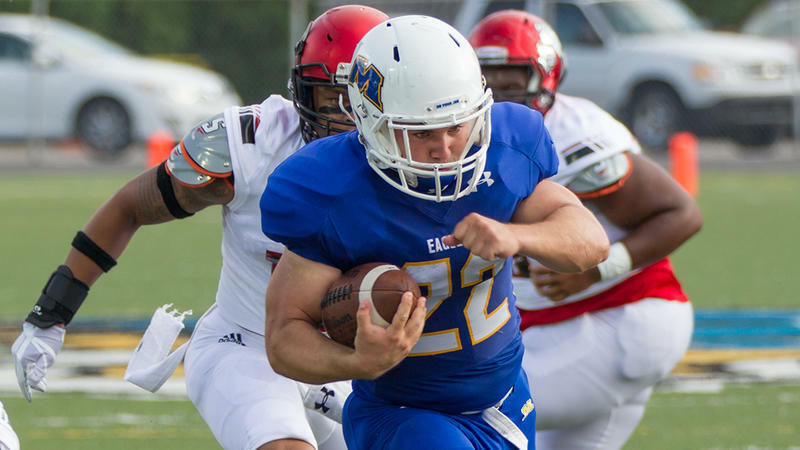 Behind 4 touchdowns from redshirt junior quarterback Lawson Page and 4 forced turnovers, Morehead State football notched a 29-26 come-from-behind victory over Stetson while celebrating Homecoming weekend on Saturday afternoon at Jayne Stadium. The Eagles advance to 3-5 on the season, with a 2-3 mark in the Pioneer Football League. Stetson falls to 1-4 in the conference, amassing an overall record of 2-6. 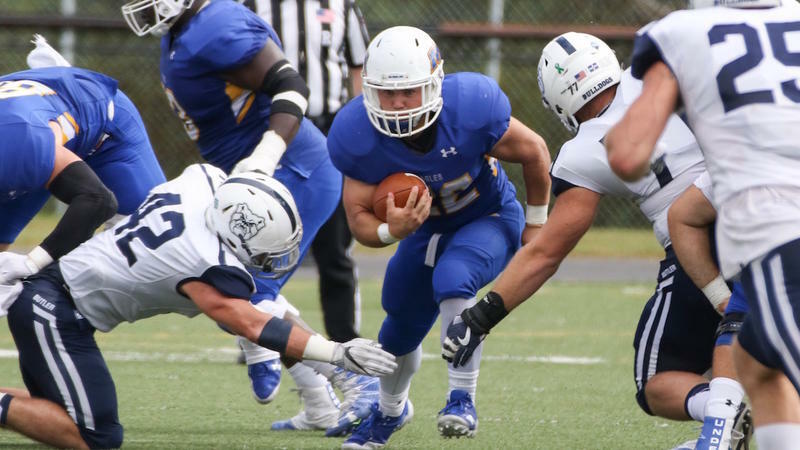 Plagued with a season-high six turnovers, Morehead State football fell to Butler by a score of 44-6 on Saturday afternoon at Jayne Stadium. The Eagles drop to 2-4 (1-2 Pioneer Football League) on the season, while the Bulldogs propel to 3-3 (1-2 PFL). 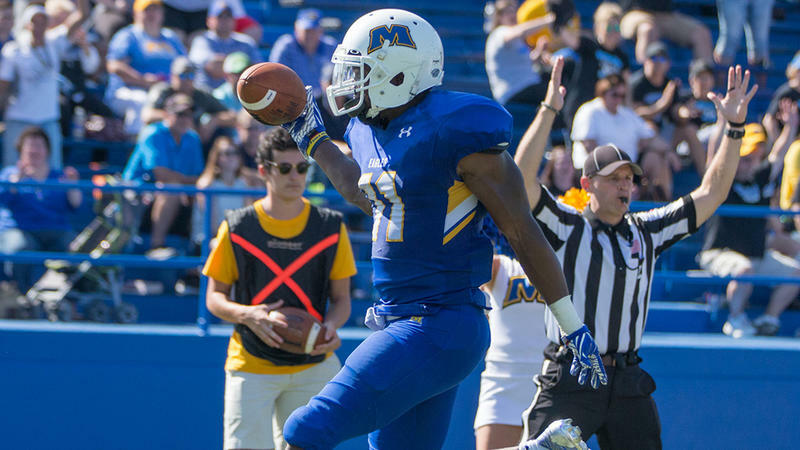 Morehead State relinquished 20 points by way of five fumbles and an interception. Butler capitalized on a sack of Lawson Page on the Eagles' opening drive, as Bulldogs running back Anthony Scaccia punched in the first of two touchdowns on the ground with 9:38 left in the first quarter. 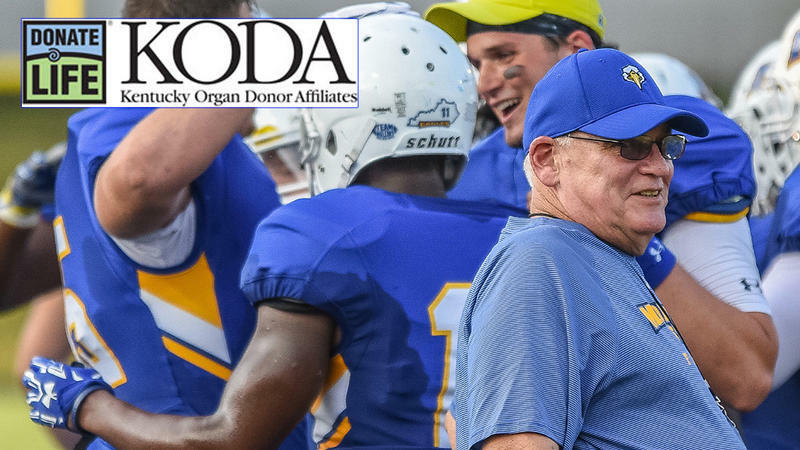 Along with the Whiteout, Saturday is also Donate Life Day at Morehead State Football, and representatives from the Kentucky Organ Donor Affiliates (KODA) will be on hand to distribute information and t-shirts as well as sign up individuals for organ donation. Morehead State hosts Butler at 1 p.m. ET. In addition, recipients and family members of organ donors will be honorary game captains. They include Joe Tenyer, father of MSU head coach Rob Tenyer (kidney recipient), Morgan McCalvin (pancreas recipient) and Christina Emory (family member of organ donor). 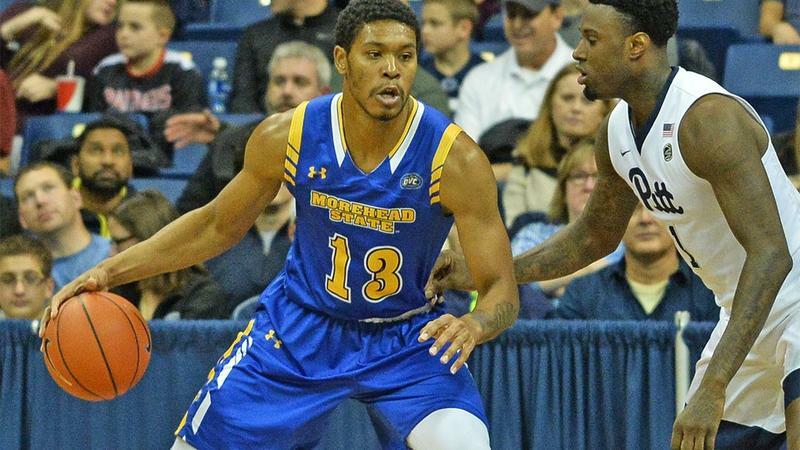 Morehead State junior forward Lamontray Harris has been selected to a preseason All-Ohio Valley Conference team by College Sports Madness. Harris was tabbed to the third-team squad. 21 victories and a second-place finish in the Ohio Valley Conference. By any standards, that's a successful college basketball season. Women's basketball head coach Greg Todd acknowledges that his team accomplished much in 2016-17. However, entering his fourth season at the helm of the Eagles, Todd and his squad are not complacent. Like a famished waif, they have an appetite for more. A pair of school records and several personal bests highlighted the Morehead State rifle team's first weekend of action at the Ole Miss and Memphis Open events. Senior Joe Fischer set the MSU individual combined school record at Mississippi as he fired a 589-air rifle, 583-smallbore scorecard for an 1172 total. 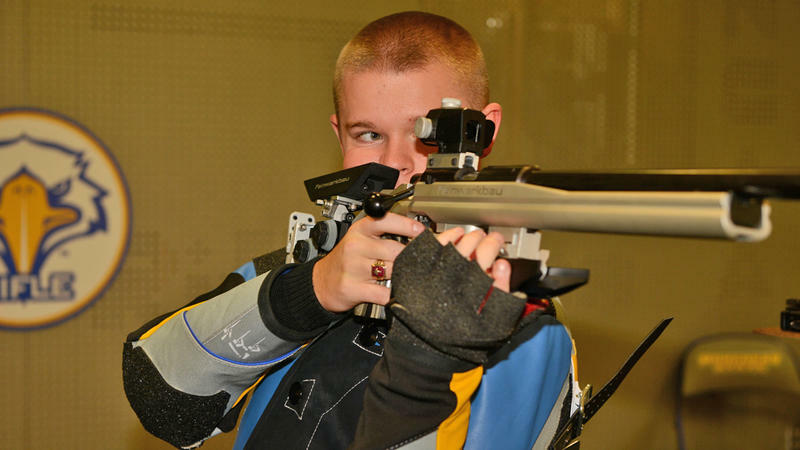 Fischer also shattered the school smallbore kneeling record, recording a 199 with 13 center shots. Both records were personal bests too. 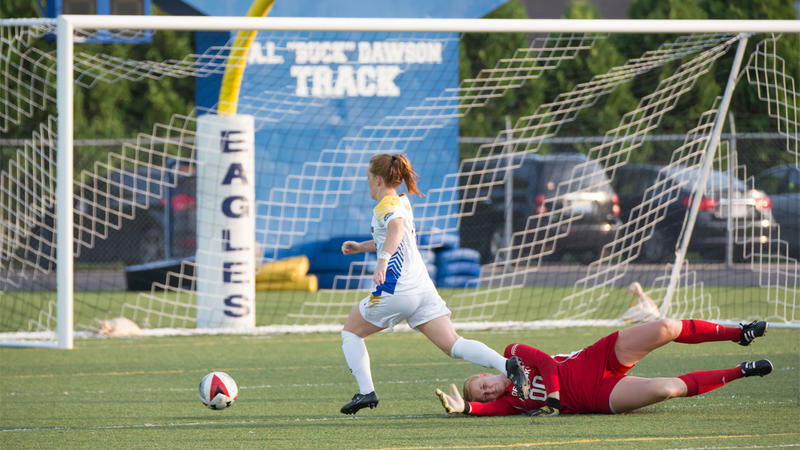 Morehead State soccer grabbed its second Ohio Valley Conference win in three matches with a 3-1 victory over Eastern Illinois on Sunday at Lakeside Field. The Eagles' record moves to 3-8-1 (2-3-1 OVC), while Eastern Illinois falls to 5-8-1 (0-5 OVC) on the season. Been there, done that? Not so much for Preston Spradlin. At least not quite in the same way. Oh, sure, the first-year Morehead State head basketball coach has been through preseason camps aplenty. It will be his ninth, in fact, on the Division I level. But come Saturday, Spradlin will enjoy an experience he's never gone through - opening preseason camp as the head coach. The 2017-18 Eagles hold their first official full team practice Saturday as Spradlin and his nearly-new coaching staff direct a 14-man roster punctuated with much youth and many new faces. 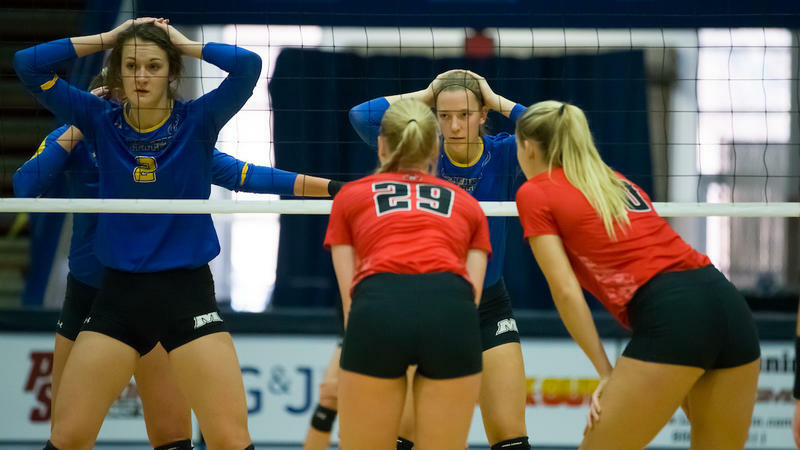 Morehead State climbed out of a 2-0 deficit to defeat Jacksonville State in five sets on Friday night at Wetherby Gym. The Eagles move to 10-6 (1-2 Ohio Valley Conference) on the season, while Jacksonville State drops to 14-7, 1-2 OVC. Jacksonville State handily claimed the first set by a 25-16 margin, then held on for a 25-23 victory in the second. 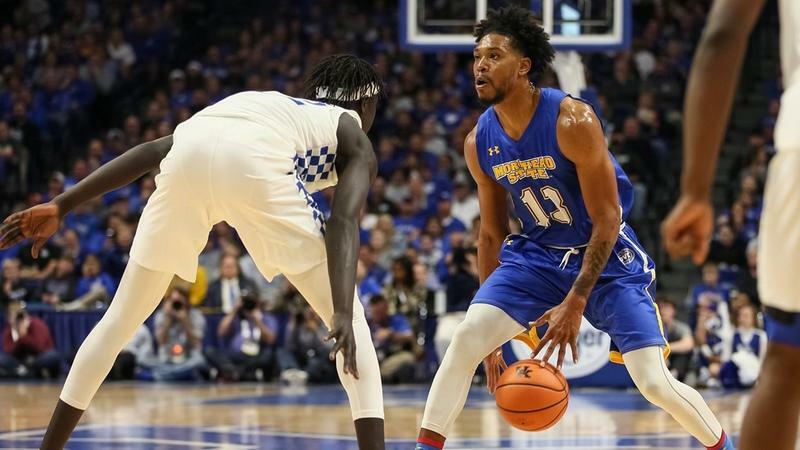 Morehead State stormed out of the break, however, stealing the momentum and never looking back. 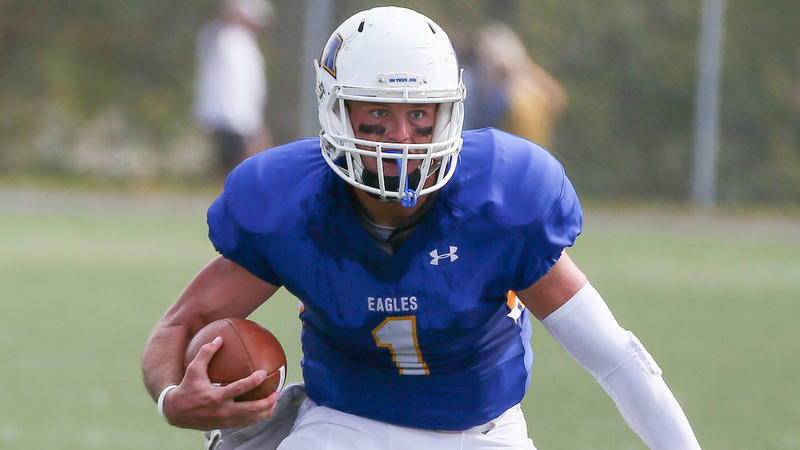 The Morehead State football team is back on the road this weekend when the Eagles travel to face Campbell at 2 p.m. ET in North Carolina. The Eagles (2-2/1-0 PFL) are coming off a critical 34-28 home win over Dayton last weekend, while the Camels (2-2/1-0) hammered Stetson 49-21 on the road. 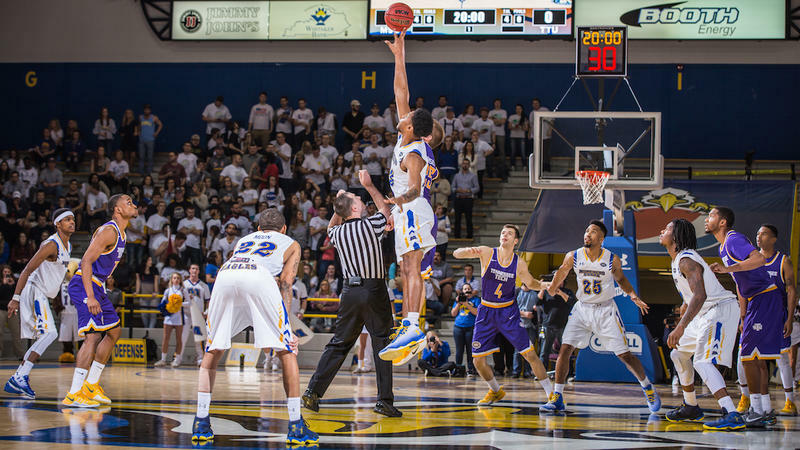 The game can be heard live on WIVY-96.3 FM in the Morehead area or live via links on MSUEagles.com. The contest will also air live on the BigSouthSports Digital Network. 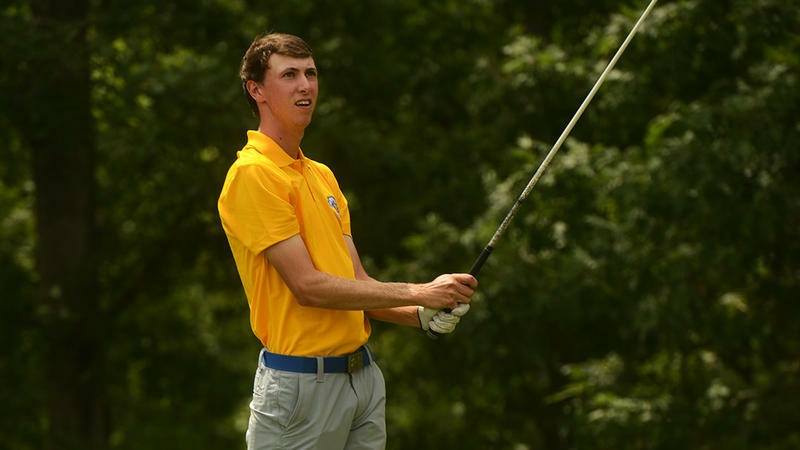 Morehead State junior Nick Wilkins has been named Ohio Valley Conference Men's Golfer of the Week, garnering the Eagles' first individual recognition of the fall season. "Nick is very deserving of this honor," said head coach Matthew Martin. "I am looking for him to take the confidence gained from this and keep progressing with his game." 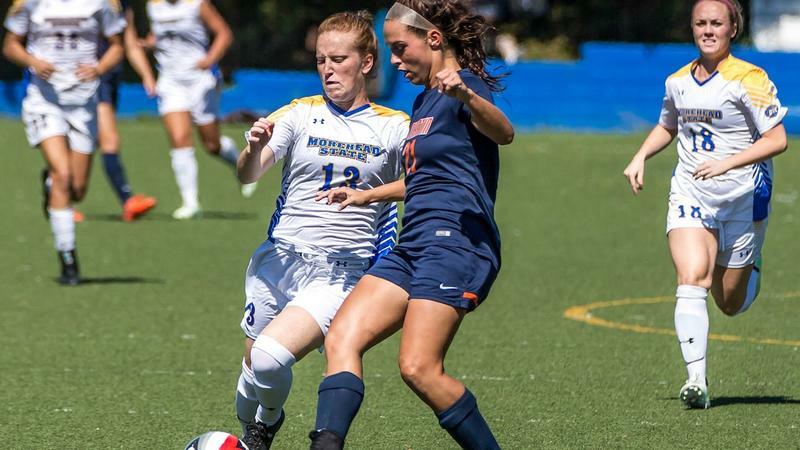 Morehead State soccer capitalized on two separate equalizer opportunities, but ultimately fell to Eastern Kentucky in overtime by a score of 3-2 on Sunday afternoon at Jayne Stadium. With the Eagles' second straight overtime loss to an in-state conference opponent in as many matches, Morehead State drops to 1-7 on the season. The Colonels advance to 4-3-2. 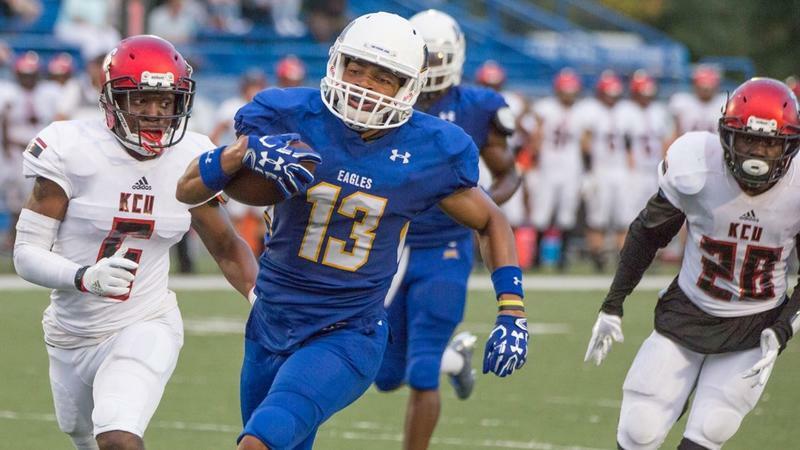 Junior wideout Jarin Higginbotham hauled in a pair of touchdown passes Saturday night, but host Austin Peay rolled up 477 rushing yards and defeated the Morehead State Eagles 69-13 at Fortera Stadium. Taylor Davis is having a September almost too good to be true. He even has folks humming "Can't Take My Eyes Off You." 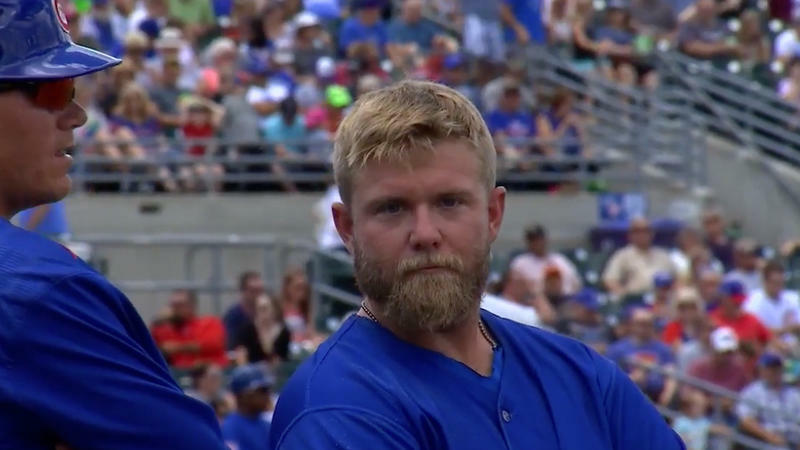 That's the title of the Frankie Valli song that is set to a video of Davis that was produced a couple of weeks ago by baseball's Class AAA Iowa Cubs. Davis, a former Morehead State standout, is featured in a series of "stare downs" with the TV and web cameras present at Iowa games this season. In the first week after release, the video had been viewed about 5 million times on Facebook. Then, on Sept. 5, Davis received a bigger thrill. 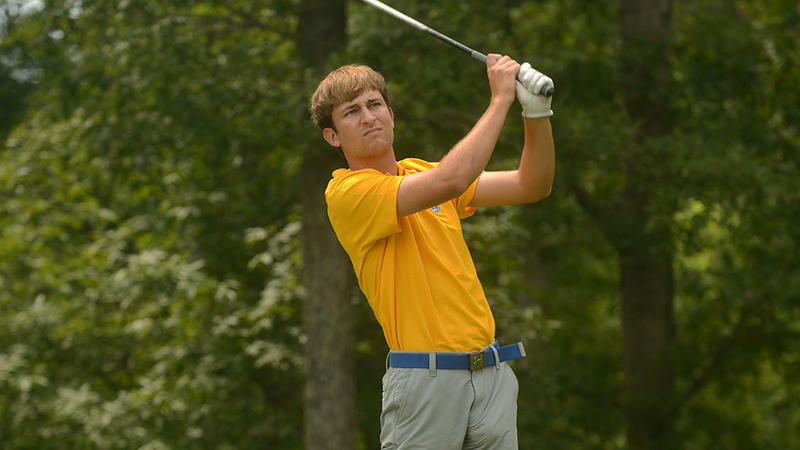 Morehead State placed among the top three of the 14-team field at the MSU Invitational on Tuesday in Murray, Ky. Four Eagles individually ranked in the top 11 overall, paving way for a third-place finish as a team. Morehead State shot seven-over at 284-290-285-859. "There are lots of positives to take from this opening event," said head coach Matthew Martin. "Nine shots over three rounds is very manageable. We still need to eliminate our penalty shots and strokes above bogey." Growing up in the Great White North, Justin Moakler recalls that when he was in elementary school, he was one of the few kids who didn't play hockey. In his hometown of Brampton, Ontario, Canada - about a 40-minute drive from Toronto - young Moakler was interested more in soccer. In the fall of his freshman year at Brampton Centennial High School, he tried volleyball. 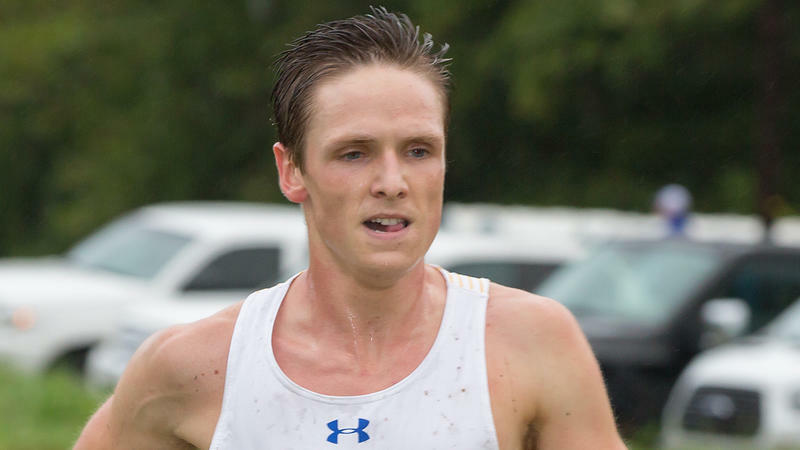 Then, by chance, his athletic endeavors took a turn that would eventually lead him to Morehead State University, where he now captains the men's cross country team. 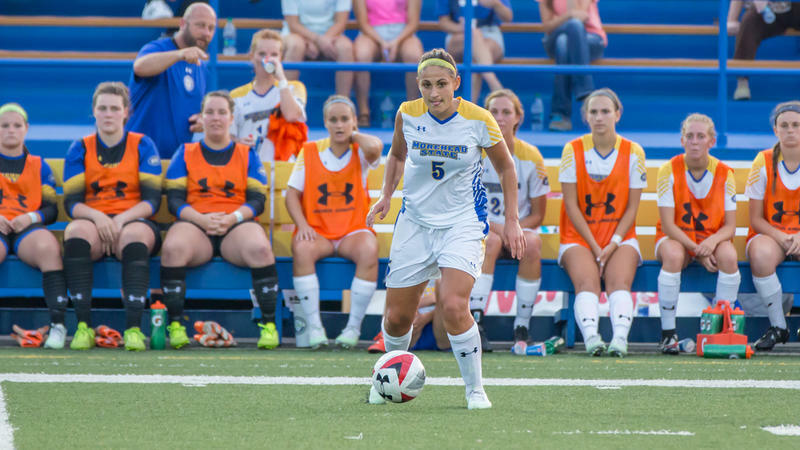 Marisa Lavatori recorded the first goal of her Morehead State career, but the Eagles (1-5) fell to Evansville (4-4) by a score of 2-1 on Sunday afternoon at McCutchan Stadium. "Our performance picked up in the second half, but it was a little too late," said head coach Warren Lipka. "We have to be ready to play from the first whistle to the last." If Morehead State and Liberty had just counted the second half Saturday night, then the Eagles would have come away with only a six-point deficit. Unfortunately, the Flames built a 45-10 halftime lead as the 20th-ranked FCS team upended MSU 58-17 at Williams Stadium. 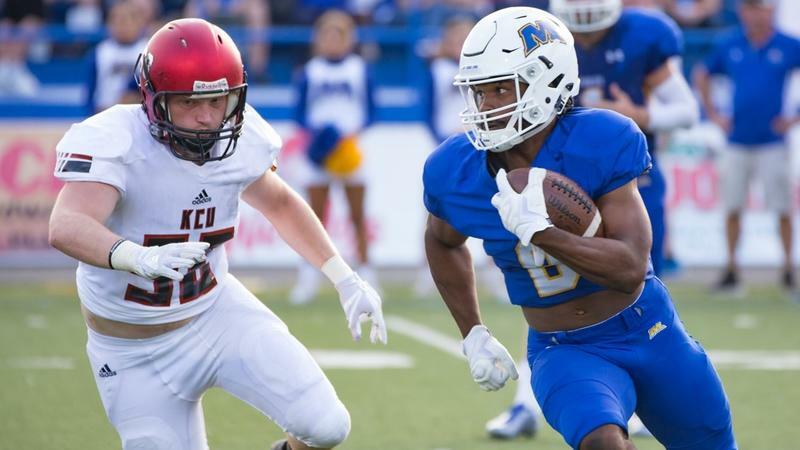 Morehead State slipped to 1-1 with a matchup at Austin Peay on the horizon next Saturday at 7 p.m. ET. 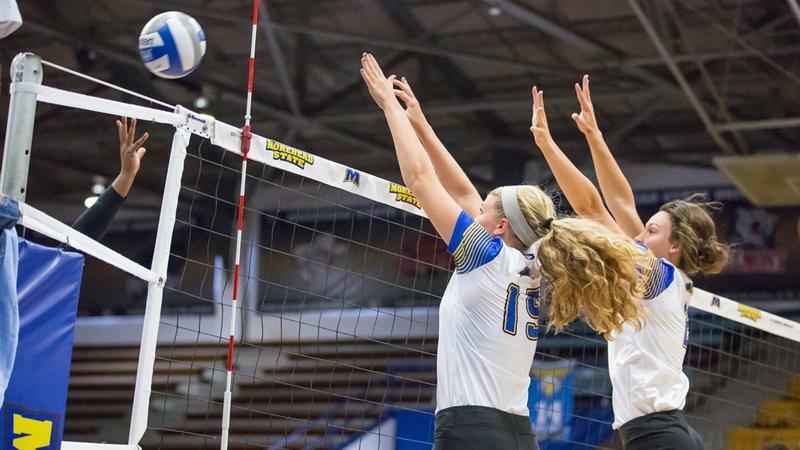 Despite a triple-double performance from junior setter Jordan Jones, Morehead State volleyball fell to Middle Tennessee in four sets on Saturday afternoon at Wetherby Gym. With the loss, the Eagles drop to 6-4 on the season. MTSU, after starting the year 0-8, wins all three of its matches at this weekend's Comfort Inn-vitational. 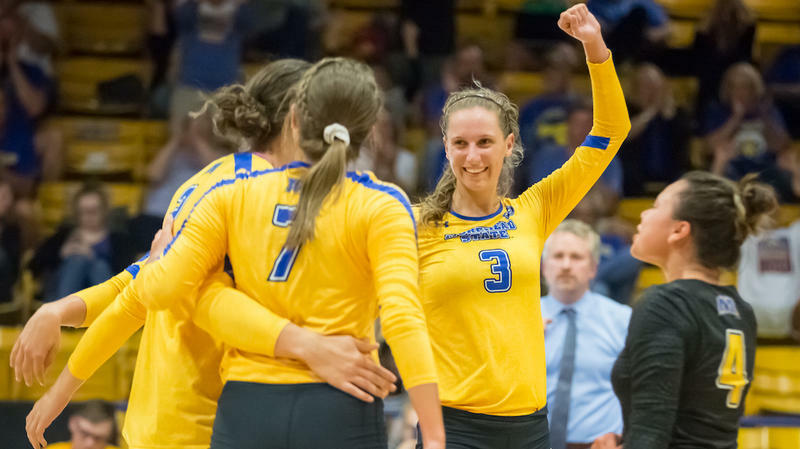 Morehead State opened Friday's doubleheader slate with a 3-0 sweep of South Carolina State. The Eagles (5-3) defeated the Bulldogs (0-4) by scores of 25-19, 25-16, and 25-19. "I thought we fought through some situations that we've been working on," said head coach Jaime Gordon. "It was nice to see us work through some things." 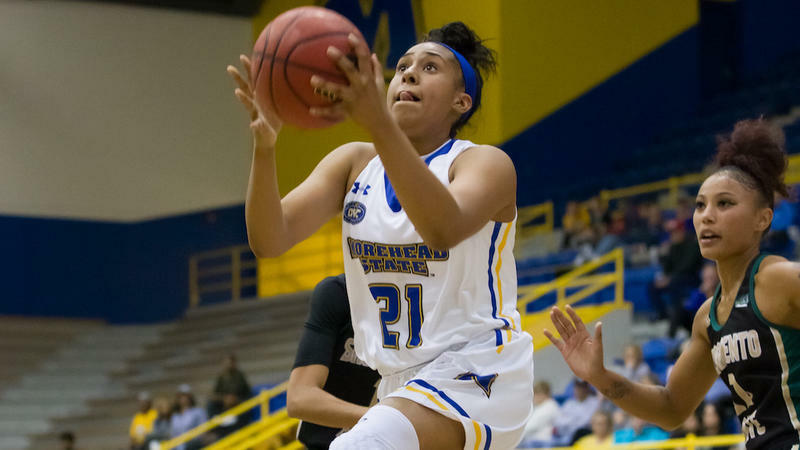 With freshman standout Taylor Hodges sidelined due to injury, junior Alyssa Cecil picked up the start for Morehead State. The 5-foot-7 Cedar Park, Texas native came away with three service aces in the win.